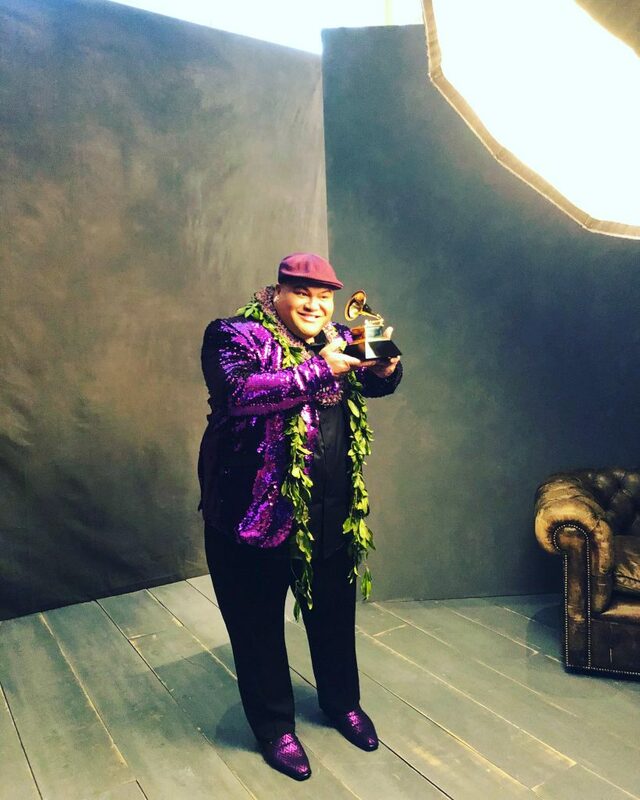 Kalani Peʻa became the first Native-Hawaiian recording artist to win the Grammy for Best Regional Roots Album during the 59th Annual Grammy Awards taking place today at the STAPLES Center in Los Angeles. Peʻa was nominated for his debut album “E Walea” which was released in August 2016. Upon its release, the album hit number 1 on the iTunes world music charts, and on Aug. 15, 2016, it hit number 12 on the Billboard World Albums Charts. Other nominees in the category included: Broken Promised Land by Barry Jean Ancelet & Sam Broussard; It’s A Cree Thing by Northern Cree; Gulfstream by Roddie Romero And The Hub City All-Stars; and I Wanna Sing Right: Rediscovering Lomax In The Evangeline Country by Various Artists. Peʻa, a native of Panaʻewa on the Big Island of Hawaiʻi, now lives on Maui. He is a product of Ke Kula ‘o Nāwahīokalaniʻōpuʻu, the Hawaiian Language School in Keaʻau, Puna where he graduated in 2001. “E Walea” features seven haku mele (Hawaiian original music compositions) and five of Peʻa’s favorite covers. 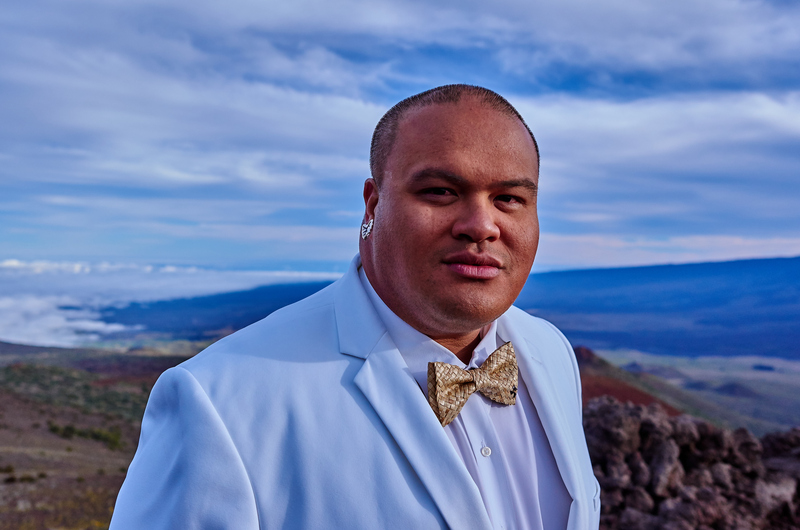 The album was named after Peʻa’s eldest nephew, but Peʻa says it’s about many others in his family as well. 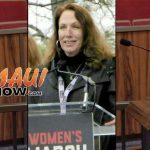 “In Hawaiian we call it hoʻoilina, and that is part of the vision of our ancestors leaving a legacy–leaving something that pertains to their gift or talent. 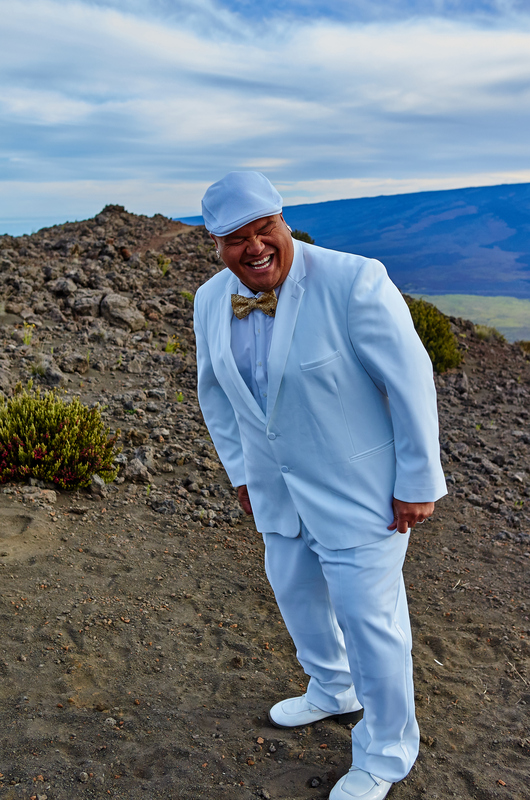 For me, I wanted to create an album that really describes who I am, and talks about my journey in Hawaiian language and perpetuating Hawaiian Language and culture,” said Peʻa. “Walea” means to be exuberant, to be elated, to be happy,” said Peʻa of the album titile. Peʻa also paid tribute to his late grandmother in the song “Nani A Maikaʻi,” saying the mele describes beauty as being all around. “Somewhere over the valleys or the ocean there is beauty. There is beauty somewhere, we just have to find it. 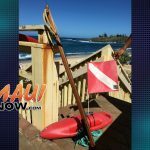 But from a Hawaiian perspective, from a kuana ike–which is a Hawaiian perspective or concept–there is beauty in everything,” said Peʻa. Peʻa tells us his public singing began at age four when he was diagnosed with a speech impediment. When speech therapy didn’t work, his mother, Pua Leonard encouraged him to sing like others in his family including herself, his father, a jazz musician, and his grandfather, an opera singer. 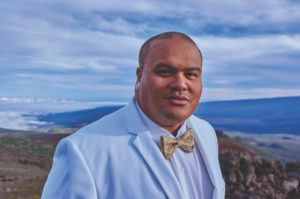 Peʻa said he sang his first song, “I Feel My Savior’s Love,” in church, and went on from there to enter talent competitions throughout his youth. Peʻa currently works as a Hawaiian resource coordinator at Kamehameha Schools on Maui.